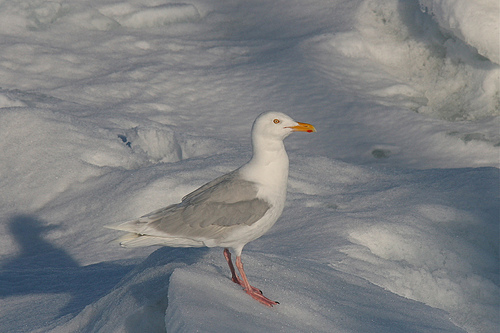 The Glaucous Gull is a large gull, seen along the western European coasts. Characteristic detail: it lacks the black spots on the tip of the wings. 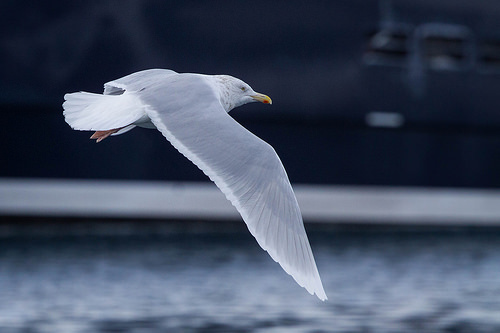 The Glaucous Gull doesn't have black tips at the end of the wings.